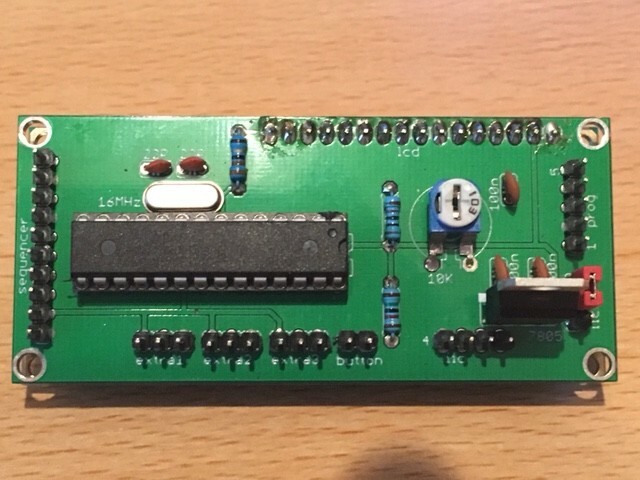 I did a total redesign of the I2C PLL controller software. The new software uses the Wire library instead of the bit-banging method which also allows me to use the I2C bus for extra options. I2C bus to connect the pll and to power the board (power supply 6.5 to 15 volt). I2C bus to connect an PE4302 attenuator board (0 til 31.5 dB in 0.5 dB steps). Programming interface to program the arduino (power-supply 5 volt only). Power jumper to select power from I2C or TTL. I/O bus for sequencer control. Works with my default button board. Works with the I2C attenuator board. all outputs are 5 volt low power, Always use A transistor to switch A relay. I can think of A lot of extensions and off-cause also other options to use this hardware and software, for example A repeater without the lcd and button control, just 1 steady frequency send to the receivers and transmitters (maybe even add Ethernet for remote control). Please let us now if you use alter or rebuild this project or if you need support. Version 1 is still available on this link for people using the older version.